Anne Schellman has been appointed coordinator of the new UC Master Gardener program in Stanislaus County, reported John Holland in the Modesto Bee. A Modesto native, Schellman learned about plants while working at Scenic Nursery when she was a student Modesto Junior College. 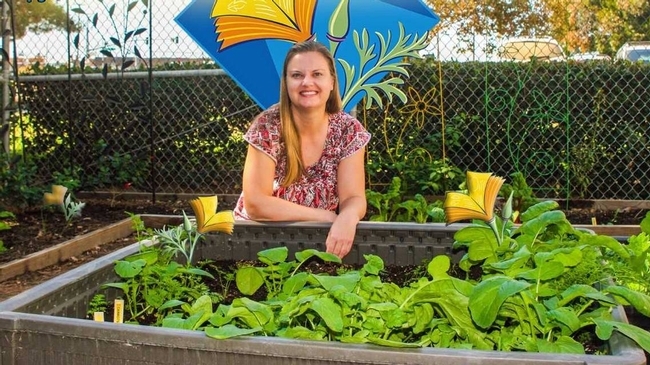 She earned a bachelor's degree in horticultural science at Cal Poly San Luis Obispo and a master's degree in community development at UC Davis. Schellman is not new to UC ANR or to UC Cooperative Extension in Stanislaus County. She worked as a UCCE horticulture program representative and program manager for UCCE nutrition, family and consumer sciences. Most recently, Schellman was an urban integrated pest management educator, working at the UC ANR statewide offices in Davis. Schellman will be shepherding the first Master Gardener program in Stanislaus County. The first cohort of volunteers will be trained from January to June 2019. Congrats Anne, so happy for you. You are truly missed here in Davis.